Technology plays a momentous role in shaping the future of our societies and ensuring that the next generation is prepared to cope with the burdens – and embrace the opportunities – to come. So, how exactly are we enabling our youth to contribute in this digital era? Mariana Ludmila Cortés, VP of Business Development at OLPC, explains how the non-profit organization is enabling children in developing countries to access educational devices for self-empowered learning. One Laptop per Child (OLPC) announced today a partnership with the Zamora Teran Foundation, a non-profit organization, dedicated to the successful implementation of OLPC programs throughout Central America. OLPC, in partnership with the Zamora Teran Foundation, will provide innovative teacher training, professional development opportunities, and related implementation services, to OLPC programs around the world. The Zamora Teran Foundation has distributed more than 42,000 OLPC Laptops to children in Nicaragua and is currently providing implementation support services to more than 50,000 OLPC Laptops in Honduras and 5,000 OLPC Laptops in Costa Rica. The results are impressive, with improvements in school retention rates and academic achievement. The services offered by OLPC in partnership with the Zamora Teran Foundation focus on six components that are essential for a successful OLPC Laptop program. The organizations offer a comprehensive teacher training program, as well as a full logistics and implementation solution. Services include the provision of advanced technical support and training to local, on-the-ground teams to ensure program sustainability. Monitoring and evaluation services are available to ensure that the goals of each program are defined and achieved. The organizations work with each local community to develop a strong community of volunteers to support the program, and a strong network of development, to ensure the expansion of each program. With these six essential components, OLPC offers a comprehensive ecosystem of support to each program. For more information about the One Laptop Per Child the Zamora Teran Foundation, please contact Leah (leah@laptop.org) . OLPC was founded in 2005 with the goal of transforming education through the provision of a durable, connected, laptop computer to every child in the world. 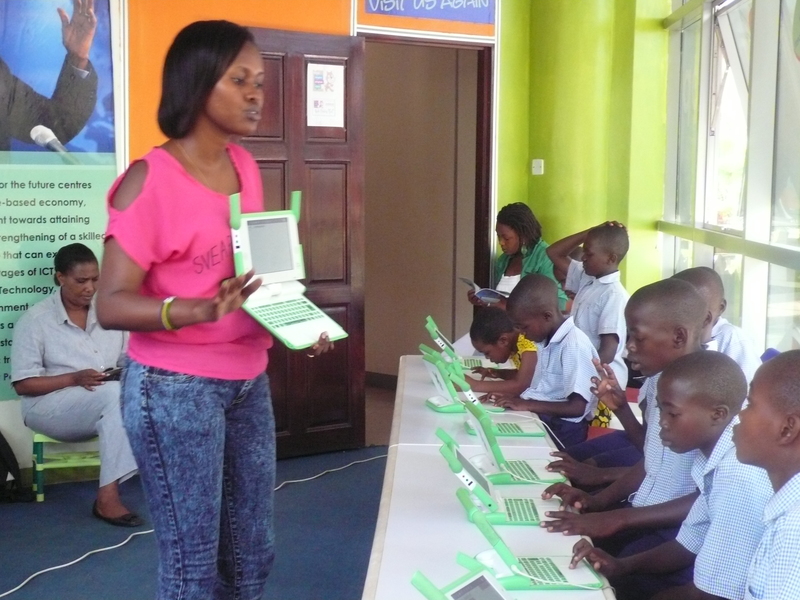 To date, OLPC has distributed more than 3 million laptops to children around the world. The Center CECYDAR/FIDESCO RWANDA was founded in 1992 by a Rwandan couple, Cypria and Daphrose RUGAMBA. The Center has welcomed children from very disadvantaged backgrounds. When children arrive at the Center, they enter a process of physical and psychological rehabilitation, as well as an intellectual and spiritual one. The goal is to heal the whole child and ultimately reunite them with their families, whenever possible. As soon as the home and family situation permits, children are reunited with family and reintegrated into their community. The more than twenty years of experience in the field have provided the Center with real expertise in the rehabilitation of children. The center is truly an expert organization in the successful reintegration of these children into their families and communities. It now has an effective, proven methodology, which has helped many children return to their families and to education. CECYDAR/FIDESCO RWANDA is convinced that the most natural and ideal living environment for a child is always his or her family. The Center seeks to reintegrate the child as soon as possible in a family environment (nuclear family, extended family or foster family). This reunification is accompanied by certain measures aimed at improving the economic situation of the family. After reunification, the Center monitors the short, medium and long term needs of the child. The Center can accommodate up to 50 children at a time. The average stay for a child lasts 3 to 6 months. While living in the Center CECYDAR/FIDESCO RWANDA, children have the opportunity to participate in the One Laptop per Child Program. 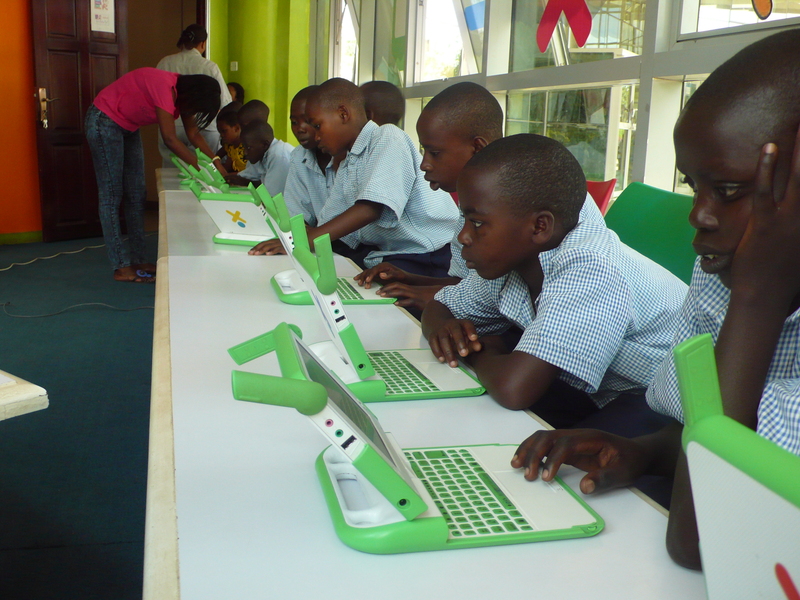 Through an Open OLPC Learning room known as the “OLPC Corner”, children have the opportunity to participate in three week camps. This is often the first time many of these children have attended school. 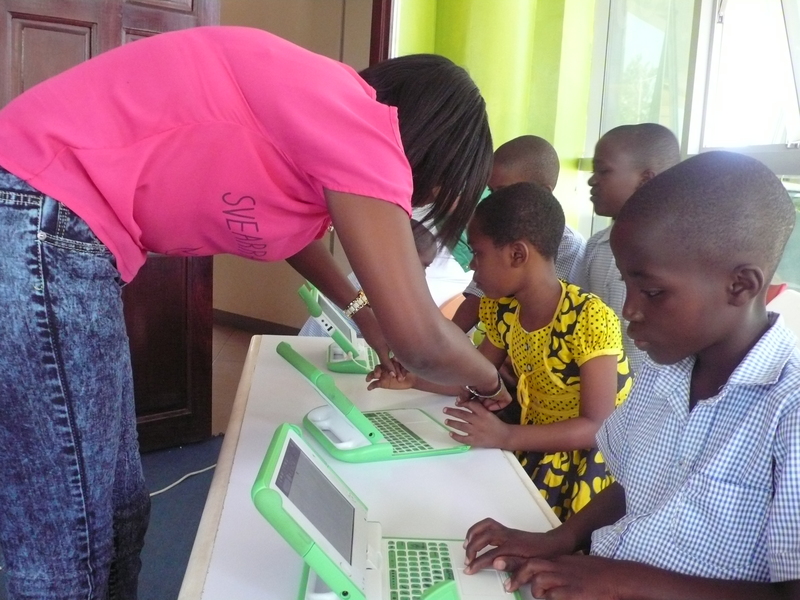 During these camps, children have the opportunity to acquire “Knowledge by OLPC” by the use of OLPC laptops as they explore the learning process. 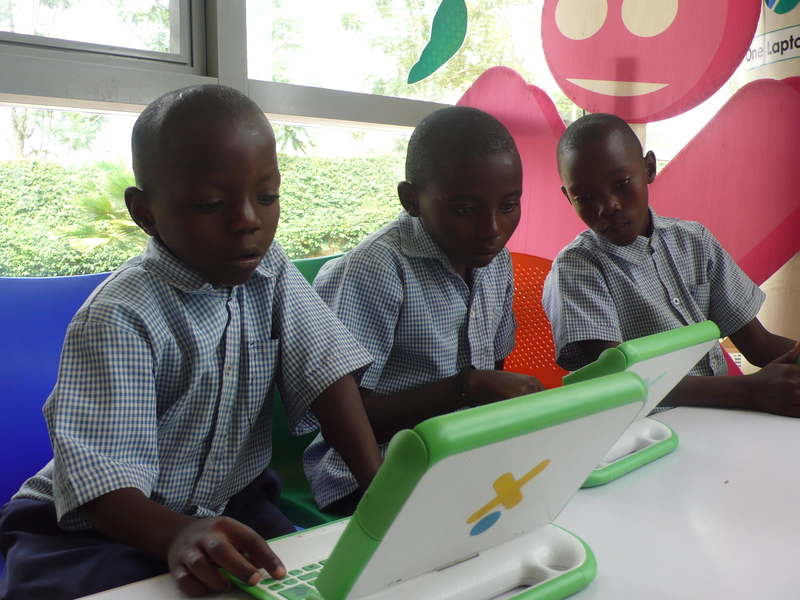 Participating children have the opportunity to learn to read, write stories, play educational games such as typing Tuttle, memorize, maze and dare, using the OLPC laptops. Other students have the opportunity to learn simple programming languages, including Scratch and Turtle Art. 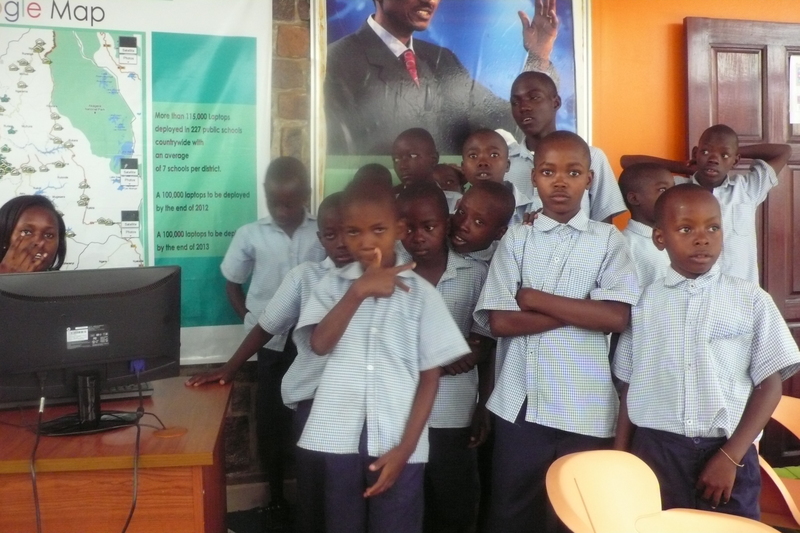 Celestine Ngarambe, of OLPC, is in charge of leading the children in their educational journeys. 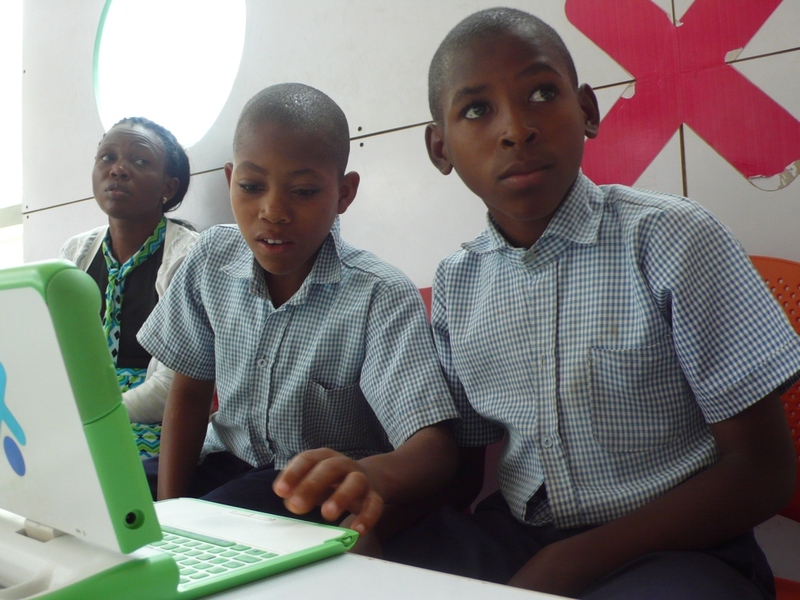 She assesses each child to ascertain his or her educational level and guides them as they learn to use the OLPC laptops.